What do you see? 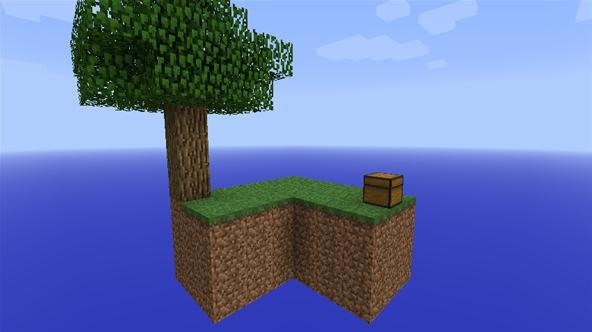 A lone tree and a chest. Now look here: you have to survive on this "island" for however long you can. But there are goals to accomplish. Can you make a furnace? How? Such is the challenge in this map. Easy to get started, hard to finish. Its super fun!